It's beautiful, isn't it? 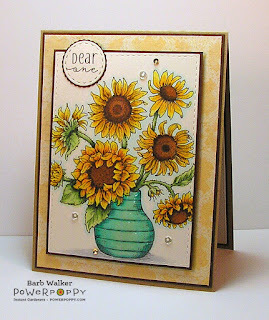 This set includes two sentiments and I've used them both on the card I'm sharing with you today. I adore sunflowers. 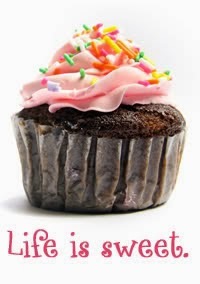 I always have. When I was a young girl, I consumed my share of sunflower seeds. I loved eating those salty treats and spitting the shells out like a sailor! When my girls were little we grew sunflowers in our back yard. Well, we tried to anyway. The squirrels would come and steal the seeds! And if one or two managed to sprout, the bunnies would eat the sprouts. We must have planted at least 40 seeds and from that we harvested maybe seven flowers. LoL! We laid them out on the lawn and let them get crispy and dry and we watched as the birds devoured the seeds. It was pretty amazing. Okay...here is my card. Click on the photos to enlarge them. I printed my image onto Cryogen Iridescent White card stock. LOVE that card stock. Anyway...I printed it out and colored it with Copic markers. Then I die cut it with a Simon Says Stamp Stitched Rectangle die and matted it with dark brown card stock. I added a generous layer of Crystal Effects onto the vase and after that was dry, I mounted the focal panel onto my card base with dimensional adhesive. I sprinkled on a few Pretty Pink Posh sequins and added a sentiment circle on top to balance things out. Then I got busy on the inside of the card. For the inside, I made the vase a bit smaller to fit in the corner and cropped it out. And rather than just leaving it plain, which really was my intention, I decided to add a pop of color, and I went ahead and colored it up to match the image on the outside. I really like how that turned out. It's printed on the same luscious card stock as the image on the front. And of course, it's die cut with a stitched rectangle die. Can't seem to get enough of those. So there you have it...I used all of the elements from the digi set! 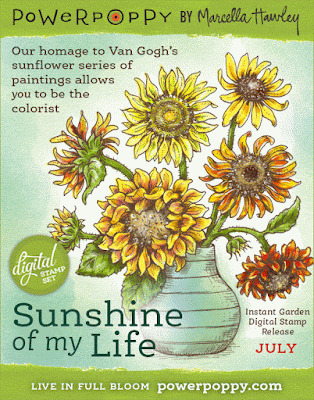 Working with digital stamps is both fun and easy. 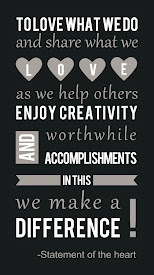 I love the versatility of being able to re-size the images and sentiments to suit my needs. 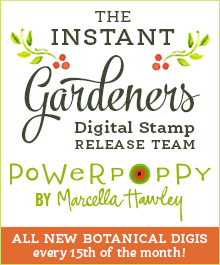 If you would like more information about working with digis, please have a look at this post, HERE from Power Poppy. We've compiled a list of blogs you'll want to visit to see more inspiration featuring this digi set. We have a few members of the Bloom Brigade joining us today, so you're in for a real treat! 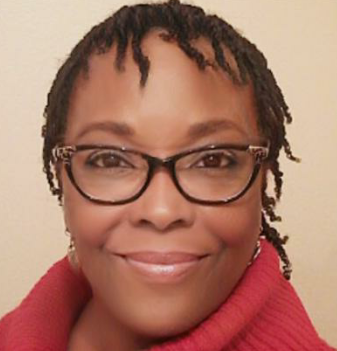 Barb Walker - That's me! 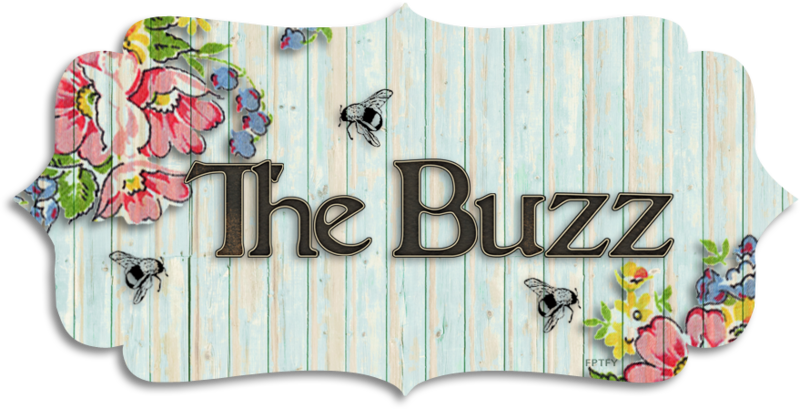 If for some reason the links are not working, please visit the Power Poppy blog. Thanks for stopping by today! I appreciate the visit. Oh! And today is Day 11 of the 30 Day Coloring Challenge, hosted by Kathy Racoosin . I hope you're coloring! 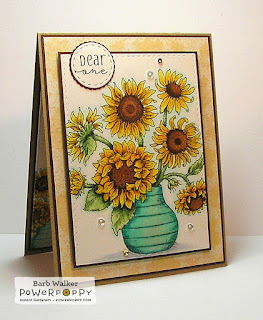 Oh, Barb, what a gorgeous card, and I love the rich colors you've used and the beautiful card inside as well! So beautifully finished off with the sentiment in the circle and your perfect sequins. I love it. So you've eaten a lot of sunflower seeds, eh? I remember those days! Big hugs, sweet friend! I love sunflowers, too! This card is astonishing in its beauty and message. I love the way you made the image smaller for the inside of the card, too. Excellent work, Barb! What a beauty Barb!! 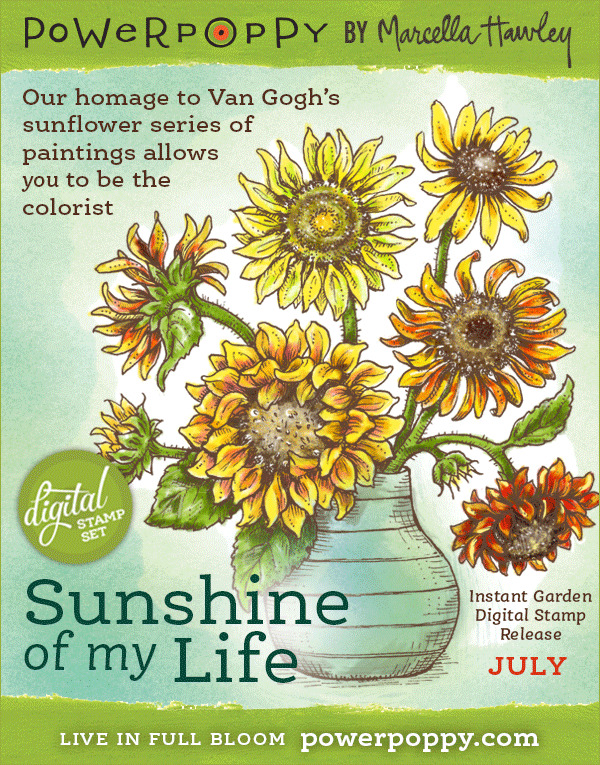 I love your bright happy sunflowers with that turquoise vase! And I really love how you shared a miniature version of it on the inside...CLEVER!! 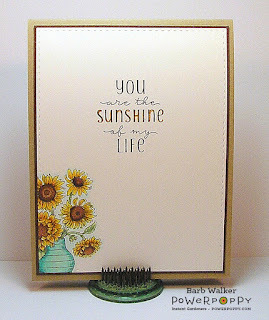 Fabulous idea to put a smaller version on the inside and I love that you highlighted the "sunshine" in yellow!!! Why didn't I think of that!? Beautiful card, Barb! Barb this is beautiful! 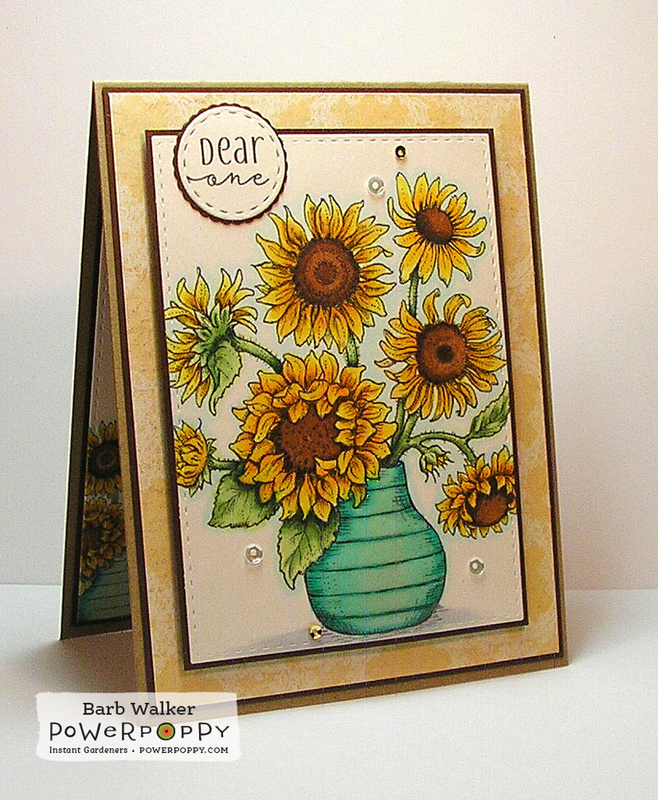 I like the warm country feel to your sunflowers and the stitched frame is fabulous. Such a beauty Barb and I love the inside! This is truly gorgeous! So hard to believe it's a digi image! I'm thinking I probably 'need' this one for sure! What a great card for some of my ladies at church! Thanks for the inspiration! 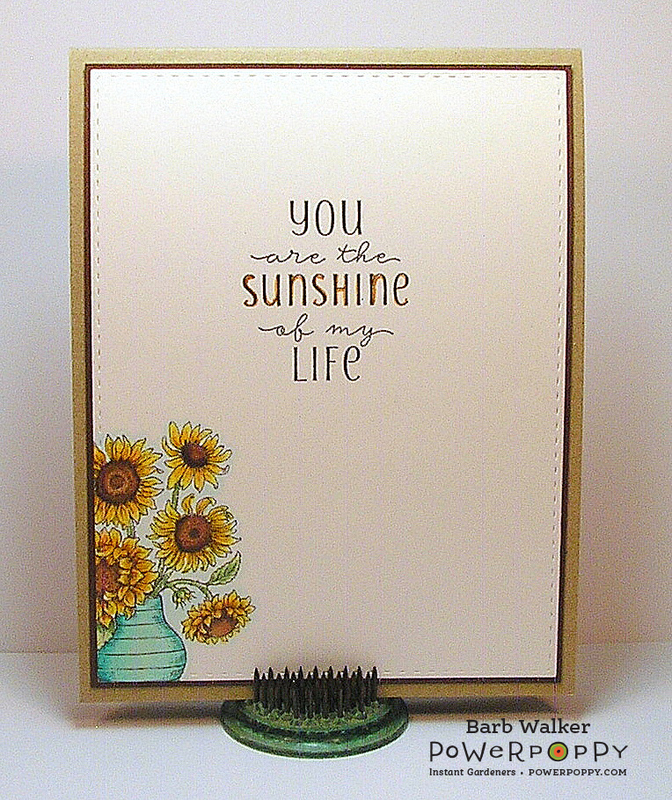 *SWOON* Barb your card is STUNNING - inside out out!!! 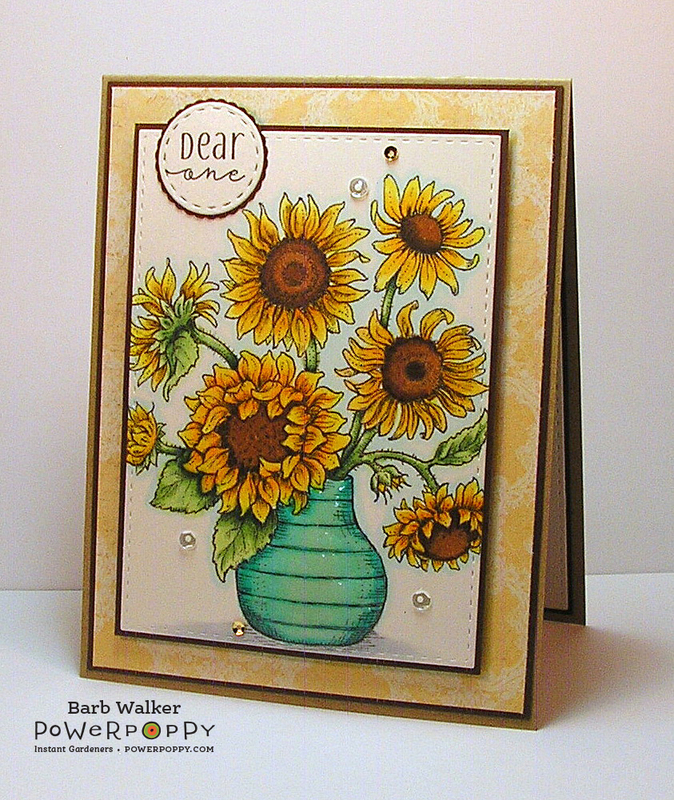 Love how the sunflowers are so totally front and centre of your card saying 'look at me!!' with the lovely stitched borders and pretty paper and then you've gone and matched it up inside as well!!!! Stunning card!! !